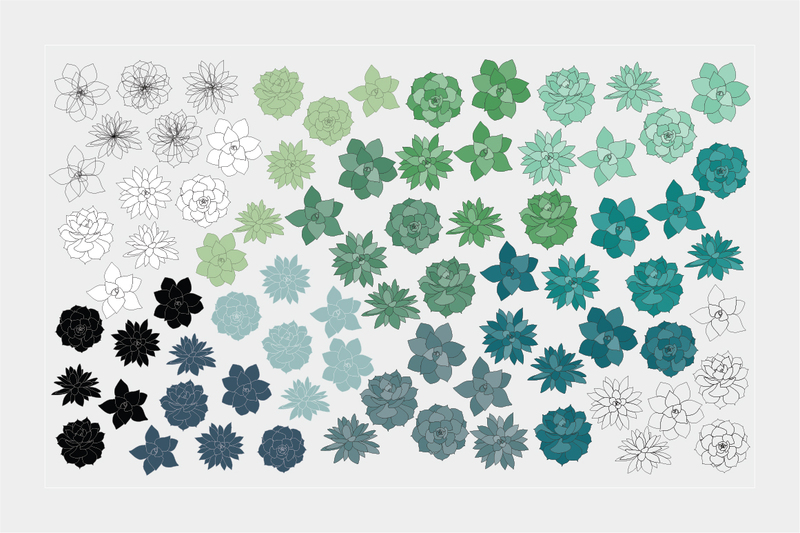 Inspired by nature, these Botanic illustrations are based off real Succulents. 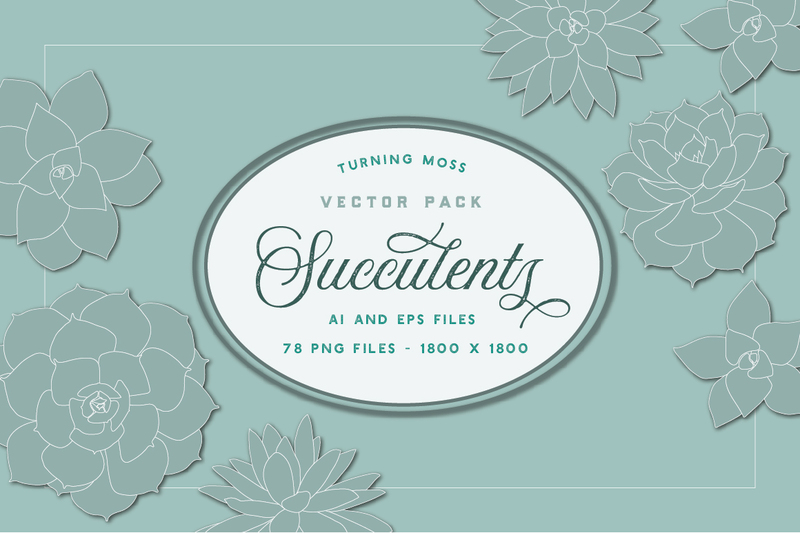 This clip art collection includes 6 hand drawn succulents in a variety of colors – PNG, Ai, & ESP files. 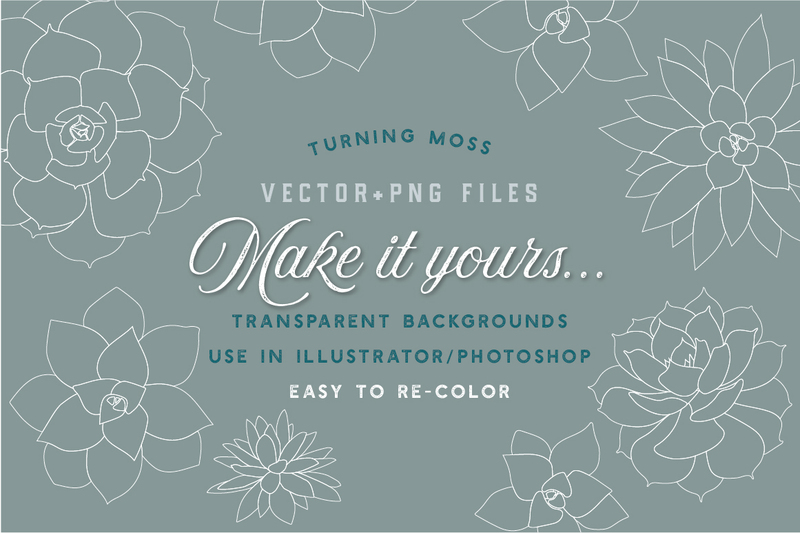 Re-color files to make them your own in Illustrator and Photoshop. 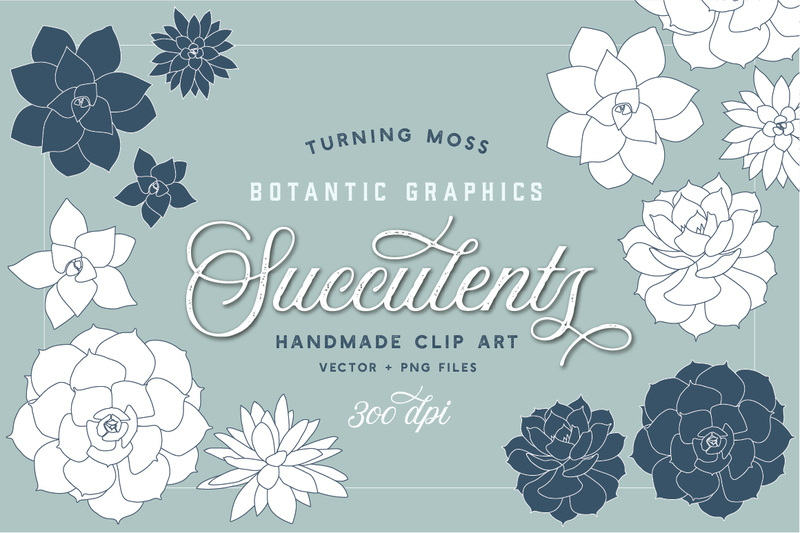 Make these digital succulents part of your next creative project! Place them into your next digital landscape, digital backdrops, digital scrapbooking, collage, personal website/blog, graphic design, banners, print them out for greeting cards, invitations, place cards, party supplies, and more! Shop more digital good on Creative Market or Etsy! Click below to shop through my affiliate link….